File photo: Comedian Leslie Jones attends BET Chairman and CEO Debra Lee's 'PRE', a BET Awards dinner for the 17th Annual BET Awards at The London West Hollywood on June 21, 2017, in West Hollywood, California. Leslie Jones has been tweeting about the Winter Olympics since the opening ceremony, often while watching the competitions on multiple screens at home. But on Friday, the comedian was tweeting from Pyeongchang, watching Japan's Yuzuru Hanyu defend his gold medal in men's figure skating and rooting on Americans Adam Rippon and Nathan Chen. Jones had fun tweeting about the skaters' outfits, but realized that watching the competitions in the arena had its downside, too. "I don’t know nothing without Tara and Johnny! 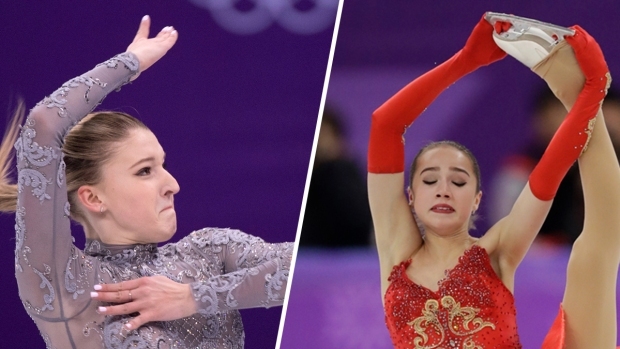 !," Jones said about NBC's priemetime figure skating announcers Johnny Weir and Tara Lipinski, known for their expert play-by-play analysis and frank comments. Jones also enjoyed some local ramen Friday, and on Saturday she was off to watch speedskating. She got to see American speedskater Maame Biney race in the women's 1500m finals. Biney was eliminated in the heats and later joined the actress in the stands. Jones also watched Team USA's John-Henry Krueger win silver in the men's 1000m short track. And later stopped by the U.S. vs Russia men's hockey match. She said she's never been to a hockey game and was surprised how physical it was. "Omg this violent. Never been to a hockey game! Um can they do that?" Jones tweeted. The "Saturday Night Live" star became a household name during the Rio Olympics because of her passionate commentary on Twitter.